Before the update you could put a wrong number in and it would not correct you or if you you put your small notes in it didn’t clue you in either that it couldn’t go in that square. You had to catch your own mistakes and think problems through as a person. Now you figure out one number is correct and it removes that number from all other squares for you and highlights it if you try to use it. Basically you guess one right and you can finish a monster in 10 minutes tops. The old way kept you working for an additional 20 minutes or so. Also the monster is an easy level. The hard seems to be a little more of a challenge but not much. I like to work something through from begining to end not auto finish. I still play it but I wish I could undo the update. The board from which to choose a number to fill the chosen spot on the sudoku should not cover the game board. There should be a “clear" button to remove the wrong input. Where’s the pencil feature? On higher, i.e. difficult level, the player should be able to utilize the pencil in feature. There should be an indication that a number is completely utilized. 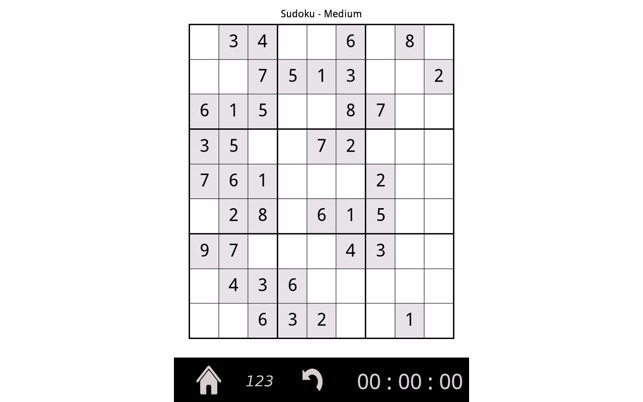 As the sudoku is solved, one or more numbers will be used up. The player needs to see this feature. I will play this game again once the updates to incorporate the above suggestions are done. Thank you. There are some box border issues, but nothing totally unmanageable. I also feel like their “nightmare” gamemode is equivalent to a regular medium game but that could just be me. Long story short, the app is free and for the minor issues I have no major complaints.